'Planning and Development Law in the Netherlands' seeks to be an accessible introduction to the extensive field of planning law. The book covers both the 'planning side' (the formal system) and the 'development side' (including the interrelations between municipalities and developers). It is primarily intended for Dutch and international students. 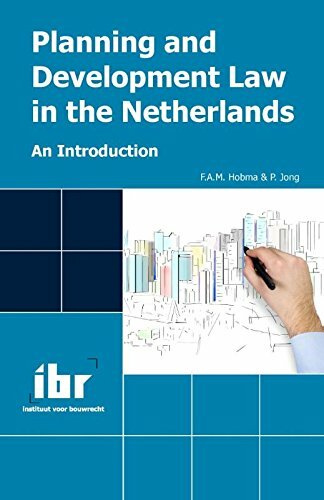 But also researchers and practitioners outside the Netherlands seeking information about Dutch Planning and Development Law may find this a useful introduction to this complex, yet highly relevant field. Fred Hobma and Pieter Jong are lecturers in Planning and ­Development Law.